Calling all creative thinkers and curious minds—it’s time to tinker! 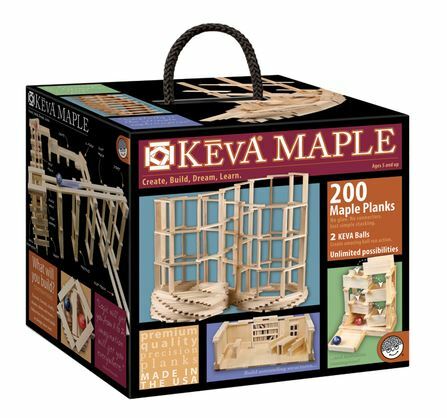 The KEVA Maker Bot Maze lets you experiment, innovate and create with precision-engineered KEVA planks and a variety of doodads and gizmos! 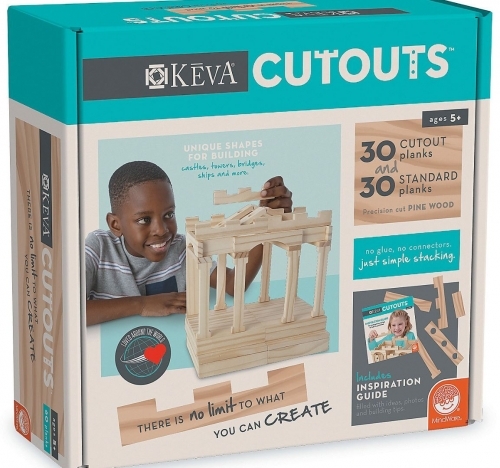 Customize a pair of motorized bots using crafty items found within this one-of-a-kind kit. The more unique looking, the better! 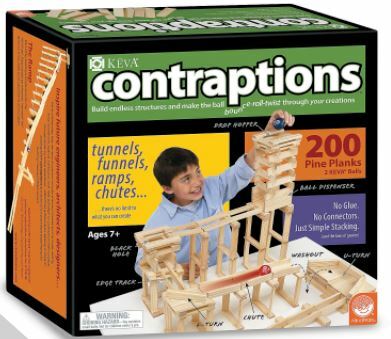 Then construct your maze’s tunnels, doorways, passages and obstacles from the planks and connectors, or by gathering things you have around the house. 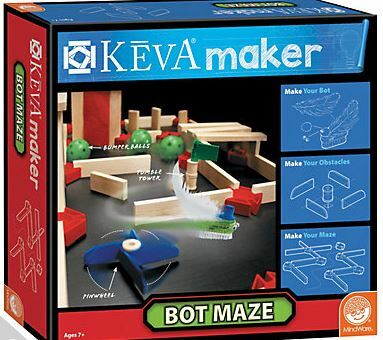 KEVA Maker Bot Maze is the ultimate engineering tool—watch in awe as your personalized bot zooms through your hand-crafted maze! Creativity is the key to becoming a master maker. What will you create?